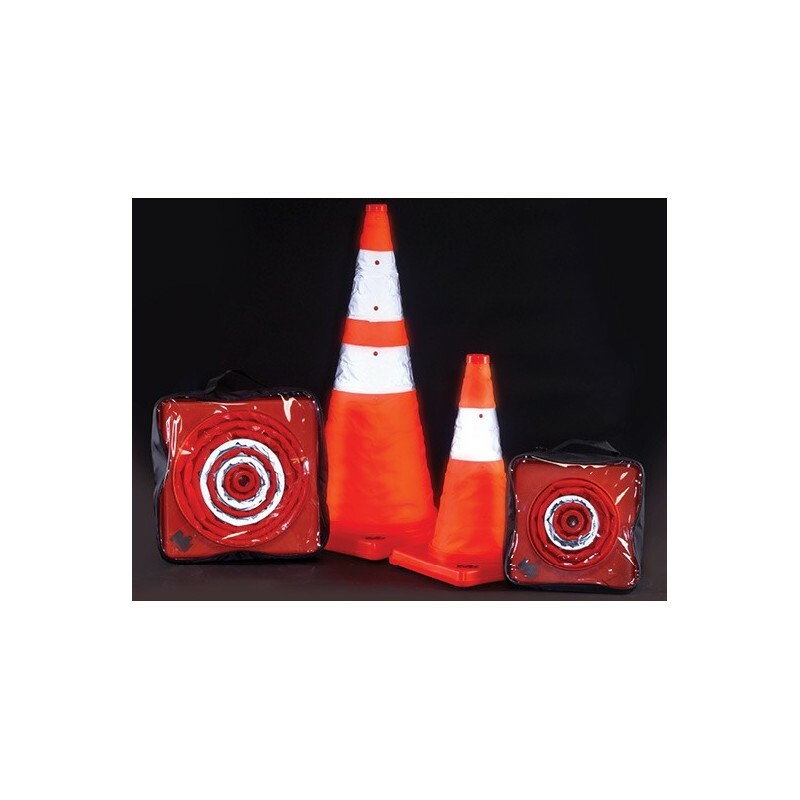 Perfect for emergency responders, Fire/EMS or simply as an emergency kit for motorists, these traffic cones collapse to 2" in height and easily store under a seat or in the trunk. 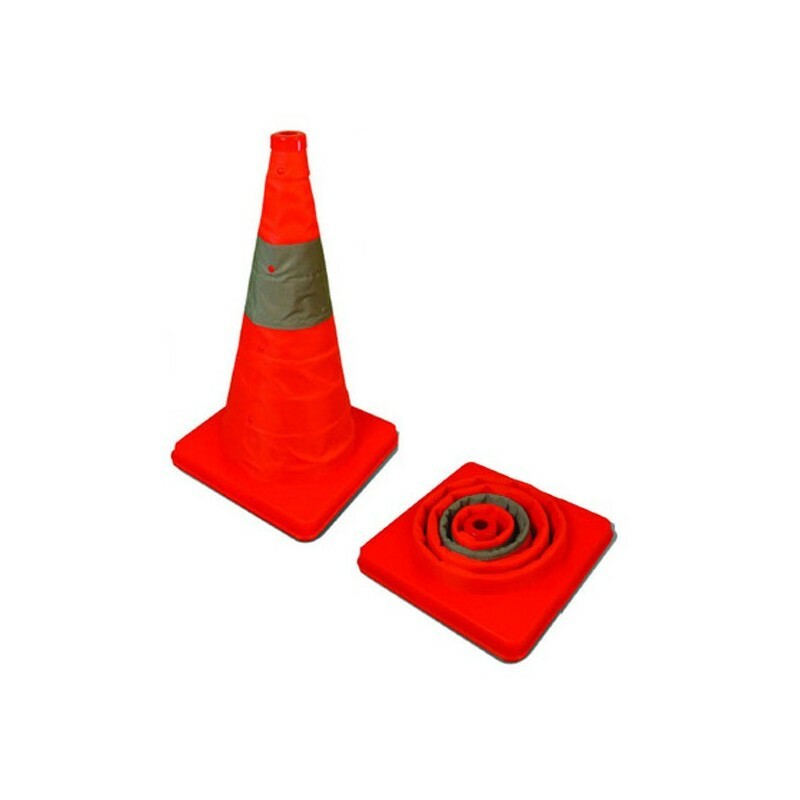 Heavy duty nylon construction is resistant to most chemicals, and their durable PVC base with rubber feet resist movement from high winds and passing cars. Unique night time safety is provided by an LED light inside the cone that provides 150 hours of steady or flashing light powered by one AAA battery (included). High visibility silver reflective bands add additional nighttime visibility.